As I explained in my earlier blog post, Fluid Art: A Cultural Pairing of Craft Beer and Contemporary Art , this event is a wonderful way to expand your mind by viewing the latest exhibitions that the Utah Museum of Contemporary Art has to offer while enjoying local craft beer from Utah Brewer’s Guild Breweries. Each local brewery is paired with a work of art and chooses a beer style to match it. Here is my review of the most recent Fluid Art: Fall 2015 installment. 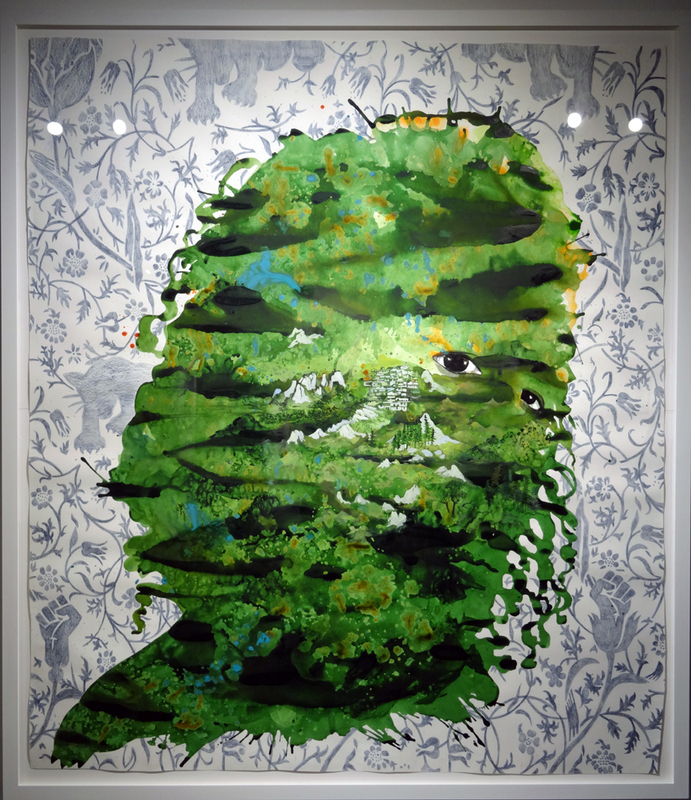 A fair portion of the upstairs space was filled with the work of Firelei Báez, a Brooklyn-based artist from the Dominican Republic best known for her large-scale works on paper. 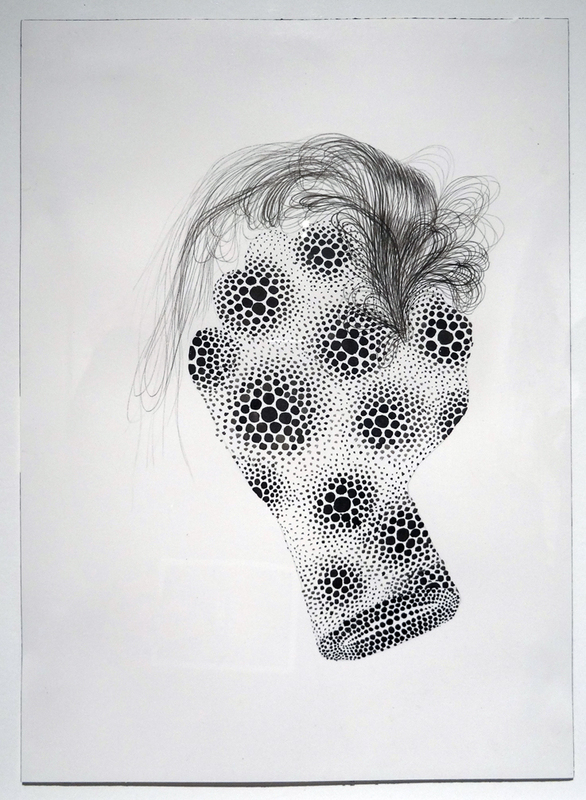 Her series, Patterns of Resistance, was inspired by social movements in the United States and the Caribbean and seeks to reconnect the cultures of people of African descent who became scattered around the globe. Her paintings and drawings center on female figures and traditions of black empowerment, linking 18th century black women in Louisiana with symbols of Cuban origins that later emerged during the U.S. Civil Rights Movement of the 1960’s. Epic Brewing, one of two breweries paired with this series, presented their Imperial IPA brewed with Mosaic hops. This IPA combines bitter qualities with fruity, tropical aroma and flavors, celebrating the crossing of cultures and blending of histories in much the same way Firelei Báez does. 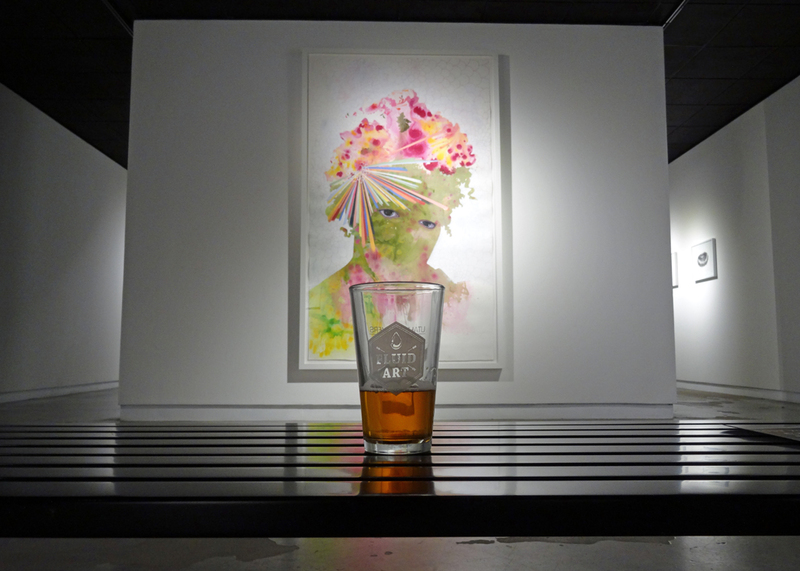 The best pairing, in my opinion, came from Red Rock Brewing who paired their Bobcat Nut Brown Ale with local artist Shawn Porter’s work: Into the Ether. 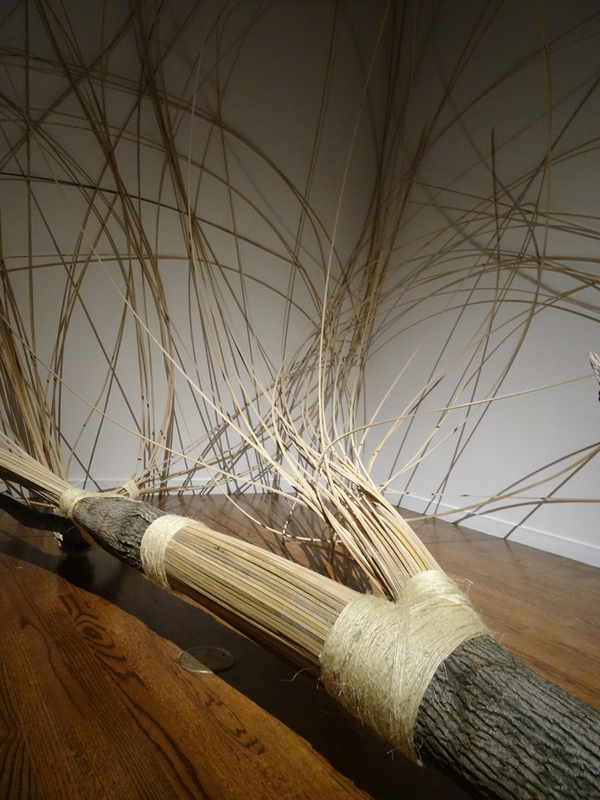 This installation was done with natural materials like wood and twine and came into being through an organic, playful process. It feels very inviting and friendly as you stroll around among the long, wooden reeds arranged so beautifully. The Nut Brown Ale played very well with the art and its nutty, woody flavors. 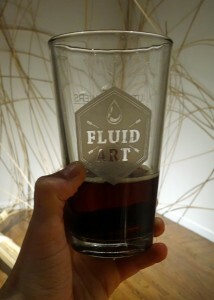 It was as though I was drinking the art which made me feel quite immersed in it! 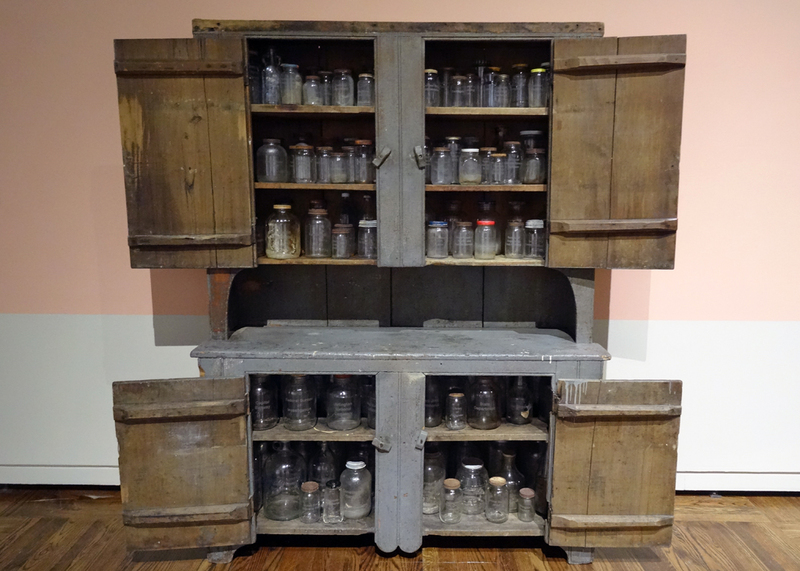 The majority of the museum’s lower level was occupied by a collaborative multi-piece installation by Kate Ericson and Mel Ziegler called Grandma’s Cupboard. This collaboration, consisted of many conceptual pieces done in the late 20th century that centered on American cultural and community issues. Done in an activist yet playful way, their art explores American history, monumentality, economics, and life at home. 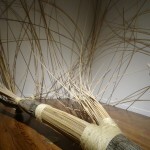 After Kate Ericson’s death in 1995, Mel Ziegler continued in the spirit of their work, evolving concepts and techniques. 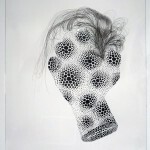 One of Ziegler’s solo pieces, Rock Hard Individualism, really transfixed me. 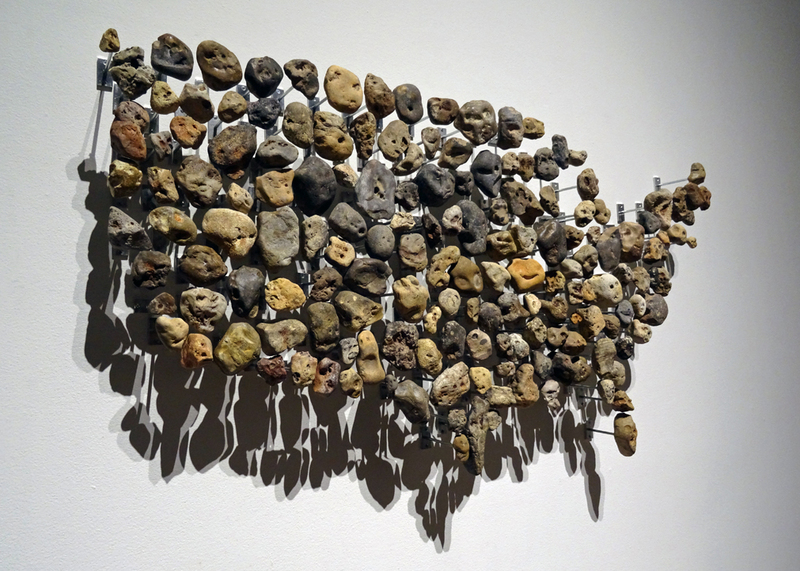 A collection of rocks arranged in the shape of the United States map, each with human facial characteristics, keeps you engaged as you notice the uniqueness and personality of each “face”. 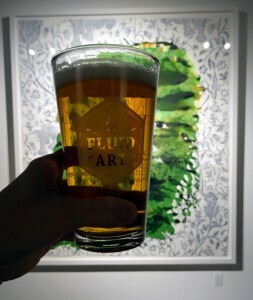 To see more, visit our Crafty Beer Girls Facebook page for a full gallery of Fluid Art: Fall 2015. 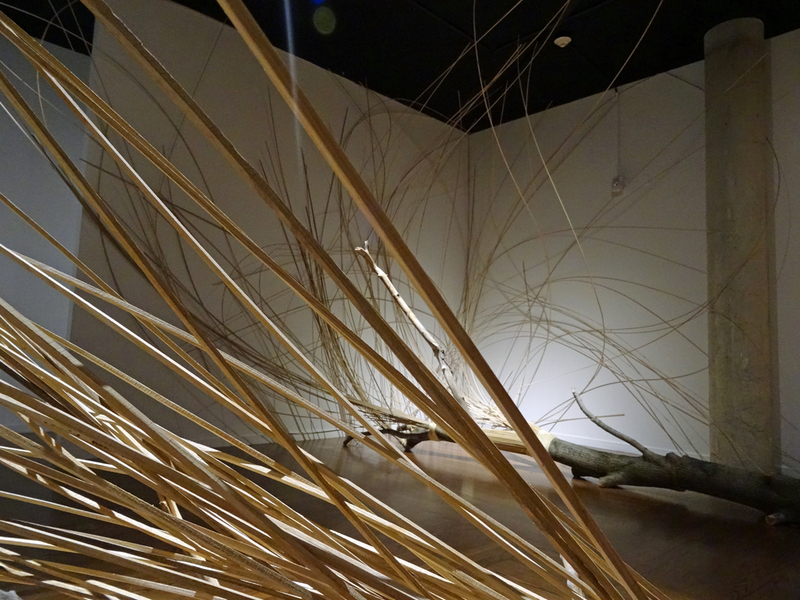 You can also visit the Utah Museum of Contemporary Art to see these current installations in person. Look for the next installment of Fluid Art coming in spring 2016 which will feature a different lineup of Utah breweries and new art installations for your viewing and drinking pleasure. Cheers!